THE other day we wrote about Microsoft and the Lisbon treaty. Well, there is some good news for Microsoft, which is bad news for (almost) everybody else. 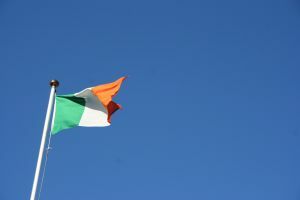 Microsoft has a lot of political power inside the Irish authorities [1, 2], which usually pays off. Irish opponents of Lisbon challenged David Cameron to give the British people a referendum on the EU’s future if his party takes power next year. The above is not the fault of Microsoft, but Microsoft did play an active role in it (along with other elite interests). The rhetoric about “piracy” gave the U.S. a justification for interference. The generalisation from individual pirates to entire states occurred with the identification of “problem” countries like India. Finally, in a feat which defies all forms of logic, large Multinational Corporations were the victims. Note here how the whole concept of Intellectual Property has come a full circle — from the initial notion of the protection of an individual’s rights and the notion of disclosure of information, IPRs now mean protection of the rights of corporations and a bar on the free flow of information. From India’s point of view, intellectual monopolies are just tools of slavery (which they are). Defence mechanisms for monopolists are beneficial to no-one but themselves and Glyn Moody is somewhat encouraged by the fact that WIPO concedes at least part of its ugly monopolistic agenda. After a year of stalled deliberations on the issue of protecting traditional knowledge, genetic resources, and traditional cultural expressions, delegates at the World Intellectual Property Organization General Assemblies on 1 October found a compromise text that gives the committee its strongest mandate yet. MANY in our community are suspicious of the CodePlex Foundation. With its board of directors dominated by Microsoft employees and ex-employees, plus apologist Miguel de Icaza, there is plenty of reason to be wary of the organization. But that doesn’t prove its actions will be bad. “With its board of directors dominated by Microsoft employees and ex-employees, plus apologist Miguel de Icaza, there is plenty of reason to be wary of the organization.”Someday we will be able to judge the organization by its actions (including its public relations). Today we can only try to anticipate what it will do, based on its statements and Microsoft’s statements. The first thing we see is that the organization ducks the issue of users’ freedom; it uses the term “open source” and does not speak of “free software”. These two terms stand for different philosophies which are based on different values: free software’s values are freedom and social solidarity, whereas open source cites only practical convenience values such as powerful, reliable software. See http://www.gnu.org/philosophy/open-source-misses-the-point.html for more explanation. Evidently Microsoft would rather confront the practical competition of open source than the free software movement’s ethical criticism. Its long standing practice of criticizing only “open source” does double duty: attacking one opponent while distracting attention from the other. CodePlex follows the same practice. Its stated goal is to convince “commercial software companies” to contribute more to “open source”. Since nearly all open source programs are also free software, these programs will probably be free, but the “open source” philosophy doesn’t teach developers to defend their freedom. If they don’t understand the importance of this freedom, developers may succumb to Microsoft’s ploys encouraging them to use weaker licenses that are vulnerable to “embrace and extend” or patent co-optation, and to make free software dependent on proprietary platforms. “There is also codeplex.com, a project hosting site, whose list of allowed licenses excludes GNU GPL version 3.”This foundation is not the first Microsoft project to bear the name “CodePlex”. There is also codeplex.com, a project hosting site, whose list of allowed licenses excludes GNU GPL version 3. Perhaps this reflects the fact that GPL version 3 is designed to protect a program’s free software status from being subverted by Microsoft’s patents through deals like the Novell-Microsoft pact. We don’t know that the CodePlex Foundation will try to discourage GPL version 3, but it would fit Microsoft’s pattern. This confusion is a serious problem because it falsely claims free software business to be impossible. Many software companies already contribute to free software, and these commercial contributions are quite useful. Perhaps Microsoft would like people to assume these facts are impossible. Based on these facts, we can see that CodePlex will encourage developers not to think about freedom. It will subtly spread the idea that free software business is impossible without the support of a proprietary software company like Microsoft. However, it may convince some proprietary software companies to release additional free software. Will that be a contribution to computer users’ freedom? It will be, if the software thus contributed works well on free platforms, in free environments. But that is just the opposite of what Microsoft has said it seeks to achieve. Sam Ramji, now president of CodePlex, said a few months ago that Microsoft (then his employer) wanted to promote development of free applications that encourage use of Microsoft Windows (http://www.internetnews.com/dev-news/article.php/3811941). Perhaps the aim of CodePlex is to suborn free software application developers into making Windows their main platform. Many of the projects hosted now on codeplex.com are add-ons for proprietary software. These programs are caught in a trap similar to the former Java Trap (see http://www.gnu.org/philosophy/java-trap.html). That would be harmful if it succeeds, because a program that doesn’t run (or doesn’t run well) in the Free World does not contribute to our freedom. A non-free program takes away its users’ freedom. To avoid being harmed in that way, we need to reject proprietary system platforms as well as proprietary applications. CodePlex free add-ons to a proprietary base increase society’s dependence on that base — the opposite of what we need. “From its recent attempt to sell patents to proxy trolls who could then do dirty work against GNU/Linux to its longstanding promotion of Digital Restrictions Management, Microsoft continues to act to harm us.”Will free software application developers resist this attempt to undermine our progress towards freedom? Here is where their values become crucial. Developers that adhere to the “open source” philosophy, which does not value freedom, may not care whether their software’s users run it on a free operating system or a proprietary one. But developers who demand freedom, for themselves and for others, can recognize the trap and keep out of it. To remain free, we must make freedom our goal. If the CodePlex Foundation wishes to be a real contributor to the free software community, it must not aim at free add-ons to non-free packages. It needs to encourage development of portable software capable of running on free platforms based on GNU/Linux and other free operating systems. If it tries to seduce us into going in the opposite direction, we must make sure to refuse. MANY ADDITIONS were merged into the Wiki today and soon we shall have new material about Brazil, thanks to the help of readership from there. 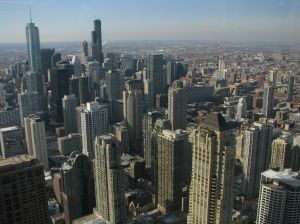 As many people may know by now, Microsoft builds a US datacentre only in Chicago. Why Chicago? One reader from Europe put forth an interesting possibility, perhaps knowing that Microsoft makes such allocations of funds and favours with strategic insight at heart/mind; one should take for example the simple fact that they bring more workforce and a datacentre to Ireland where Microsoft can influence EU law and continue to escape taxation. Groklaw raised a similar type of concern when Microsoft 'rewarded' Norway with a datacentre after a batch of very apparent favours. –Anonymous reader“BSOD” is the one-word reason for all this, according to our reader. He refers to this type of incident and argues: “I notice that despite a good position and major effort from the US, Chicago lost the bid for the 2016 Olympics. How much did the Microsoft threat turn off the Olympic committee. They already had several Microsoft disasters in recent games, not the least visible was the BSOD on the opening ceremonies in China. “Microsoft is also threatening to put what it calls a data center in the Chicago area and might have tried to piggy back on the games, had the bid been won. “Rio, on the other hand, is in Brazil, which is leaving closed source and closed standards and above all Microsoft behind. The BBC published this article about Brazil early in the morning. The article says nothing about Brazil’s unique advancement of Free software, but it is not particularly surprising given the biased source. Speaking of failures, this new complaint about Microsoft software has made the front page of Slashdot over the weekend. This not just a rant against microsoft but a pratical article for all developpers using Microsoft Visual Studio 2005 to build their product. * Our ActiveX would not register on the system, complaining that the CRT or MFC assembly could not be found (to be detected by opening the Event Observer). * Our Fireforx plugin would not load. * If you have a standalone application and have upgraded to Internet Explore 8, you may have the complain that IESHims.dll is missing. We also noticed that some client PCs running Windows Vista had updated build 3053 (not 4053) and when we tried to ship build 4053 as private assembly, Windows complained that the two assemblies were in conflict (although we were shipping the MFC and CRT as private assemblies). This conflict message was so undocumented that nobody seems to have encountered the situation. So the simplest solution was to remove this security fix. What sane person would wish to mimic such an architecture? 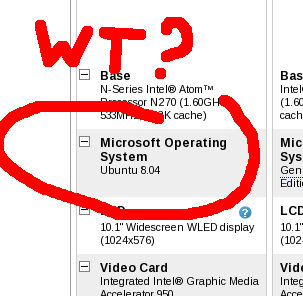 * If it runs on Vista it better damn well run on Windows 7 or a lot of people are going to be very seriously pi**ed! * The hassles with getting Networking to work better be history. * Abject stupidity in the UI still needs to be addressed. What should be obvious and simple remains obscure and often impossible to understand. WIKILEAKS has a fantastic new addition, which is 2,389 pages of this manual [PDF, 39MB] from the UK Ministry of Defence. It is all quite telling, is it not? –FewaIt’s as though the above are all more or less the same. People who dare to investigate and form an independent opinion are almost like criminals. They are supposed to just parrot what large media sources say, even if it is misleading propaganda from the corporations that control this media (and other high interests, not necessarily financial). This file, marked “confidential”, describes development of an EU-funded intelligence gathering system (“INDECT work package 4″) designed to comb webblogs, chat sites, newsreports, and social-networking sites to inorder to build up automatic dossiers on individuals, organizations and their relationships. Well, Microsoft still uses its PR agencies to do this, some of which (like Visible Technologies) found ways to automate the process. Lo and behold — Microsoft's lists are exposed. BACK IN August when Windows zombies took Twitter down repeatedly (and to an extent Facebook also) [1, 2], some journalists went as far as suggesting that Microsoft should be sued. Now that Windows zombies paralyse the hosting service known as Bitbucket, which serves Free software projects, one must wonder where it ever ends. We too were a victim. Is a ban on compromised Windows the last option remaining? A crippling DDoS attack over the weekend against open-source hosting service Bitbucket and Amazon’s EC2 service has questions being raised about the speed and effectiveness of Amazon’s response to the emergency, as well as the general reliability of cloud services. The Microsoft-dominated DHS speaks about hiring an army of security people to address this issue, but Cringely explains why it’s unrealistic (to put it kindly). That’s a great question given that we as a nation can’t seem to hire and keep a national cybersecurity czar. So what are we doing hiring 1,000 experts given there is no boss? The DHS is extremely unlikely to be able to find and train 1,000 cybersecurity experts in three years. Maybe they’ll come up with 100 (more likely 5-10), but the DHS environment will make it unlikely — very unlikely — that all of those 100 will stick around. Multi Media Hard drives? Well, they have some nice connections, tend to run linux, and can push out a full HD image while sipping saft. We fielded 179 phone calls, 63 emails and 4 personal visits of inquiry from the ads. There are three categories in which I have placed these communications. Like a lot of things in our society, all you have to do is instill fear into people and then sell them products to protect themselves. Antivirus software is big business and the industry is very good at scaring the common computer user. Most viruses could be avoided just by following simple common sense rules. Anyways, my mom found out that she is immune to majority of viruses that are out there and that her precious data is safe for now. The way Linux is created makes it difficult for viruses to function. Linux is the best anti-virus software. The new platform will be based on Linux and Solaris, while TradElect is based on Microsoft’s .Net technology. The choice of the latter, which has raised quite a few eyebrows in the market, is defended by Lester. He claims that LSE is coming off TradElect not because of the .Net technology itself (although its trading speed is 2.7 milliseconds compared to Linux-based Chi-X’s 0.4 milliseconds), but ‘for more control, less costs, and the ability to build and innovate’. Furthermore, he describes LSE’s experience with .Net as ‘very positive’. With LSE and its Italian subsidiary, Borsa Italiana, converting to Linux, Microsoft’s .Net offering is left with virtually no takers – the only remaining one being Johannesburg Stock Exchange (JSE). ‘JSE has been aware for some time that the LSE has been considering its trading technology options,’ says Leanne Parsons, JSE’s chief operating officer. The South African exchange ‘will be holding discussions’ with its UK counterpart regarding the latter’s technology replacement project. However, it is ‘a bit too early in the process’ to go into any detail, she adds. When I was shopping for an inexpensive flatbed scanner, it was not always easy to figure out which ones would work in Linux. Many manufacturers use proprietary protocols in their products and generally ignore Linux. I bought an Epson V30 because it was cheap and because there are drivers available for download here. The drivers work on Linux Mint 6 (Ubuntu 8.10) or later, and on several other Linux variants. Unfortunately source code is not provided, so if you don’t have one of the popular distributions, you may be out of luck. In another special episode, we bring you Dan’s interviews from LinuxCon with James Bottomley (SCSI subsystem maintainer), Allison Randal & Chromatic (Parrot), Jeremy Allison (Samba) and Greg Kroah-Hartman (staging tree maintainer) as well as a Mac rant from Fab. Not everyone is very familiar with using the command line and now there is an option for users to have a graphical front-end for it. Sometimes it might be overwhelming for users especially new ones to use the command line. And it could be less confusing for them to have graphical symbols to help them. If you find it hard to remember to use the find command or locate then it’s better to find files using something else like Catfish. Catfish is the graphical front-end for find and locate, as well as other tools like strigi, beagle and pinot. This new project will improve the Trisquel Edu system, providing a nice educational environment for first grade students. We hope this will also be the start of a productive relationship with the SugarLabs folks, who helped us a lot to achieve this release. Many thanks to Aleksey Lim and to everyone at the Sugar project for giving us this wonderful software! Flavio Pereira de Oliveira announced today the third release of his popular Slackware-based Live CD Linux distribution, GoblinX, also known as G:Standard. GoblinX 3.0 used to have five desktop managers, but it appears that Flavio decided to keep only one, the K Desktop Environment. With the KDE4 on board, this distribution offers stability and good looks on a bootable Live CD ISO image. Thanks to everyone who entered the contest. There were 54 entries using 5 different window managers / desktop environments. Today, I tried out several LiberKey applications on Debian through the Wine interface and most of them seemed to be working well. The only fall back is that these applications dont work through the Liberkey interface. But rather each application needs to be run from its folder manually. This is not a set back as all it takes is a link to a application to open it. But what can you expect and how should it run? In this preview of Ubuntu 9.10 I will fill you in on the upcoming features and give you a few screen shots as well as my opinion on how the release will fare. Welcome to the Ubuntu Weekly Newsletter, Issue #162 for the week September 27 – October 3rd, 2009. In this issue we cover: Ubuntu 9.10 Beta Released, Ubuntu 9.10 Countdown Banners, Ubuntu 9.10: Testers Needed, Planning of Karmic Release Parties Kicks off, Ubuntu Karmic Free Culture Showcase Winners Announced, Changes to releases.ubuntu.com rsync/FTP access, LoCo News: France, Ohio, Florida, Massachusetts, Honduras, Philly, Michigan, North Carolina, & El Salvador, Help Launchpad get better icons, Ubuntu Forums Tutorial of the Week, The Planet: Michael Lustfield, Martin Meredith, Mathias Gug, Shane Fagan & Luis de Bethencourt, PlayOnLinux to be in Ubuntu Karmic repositories, September Team Meeting Summaries, and much, much more! Linux Mint addresses lots of problems that kept people on the Microsoft habit. Having to mount the drives. The single click launching of programs. The hassle of installing programs. Linux Mint’s installs are less painful than Microsoft. As of yet there are not lots of garbage shareware programs you “must install” so you can get some other feature. But anyway, the new model is expected to run $100 when it drops in a month or two. Novatel Wireless on Monday announced a plan to embed applications in the company’s MiFi portable 3G-to-WiFi router, which has its own Linux-based operating system. The first MiFi apps will let the device act as a shared network drive, negotiate VPNs and upload photos. I assume Cowon may release its first MID with a Linux OS rather than Windows XP. Cowon has one of the best Linux developers and they have worked with several Cowon PMP products in the past, so they would find it easier to deal in the Linux environment and differentiate themselves from other MIDs in the Korean market which are based on Windows XP. Also, Linux OS can reduce retail cost. However, it’s been their experience that the Linux OS does not really attract customers even though there is WiFi on the Cowon Q5W. Korea’s Internet access is limited by ActiveX which has been a stumbling block for the Linux OS for portable Internet devices including laptops. Also on Thursday, Andreas Orfanos, open source software consultant at Hedera Innovations Ltd. will explore working with real-time Linux. Recently, Linux has gained strong momentum in Real-Time applications but which real-time Linux is the right one for your project? How does it perform? What kind of limitations does it have? What is the licensing model for each of one? What kind and where you can find support? Orfanos will attempt to provide the answers. I’m aware that some will read this post as me whining because I bought an HTC Hero without checking if it worked with my GNU/Linux box. Just to be clear: I was fully aware of these limitations prior to purchase. I don’t tend to sync my mobile devices with my desktop(s). I do back them up and right now that’s all I need. So in reality the sync issue isn’t a problem for me — other than the firmware upgrade for which I must borrow a Windows box. But I — like many — chose the HTC because the software it was based upon was free and I wanted to support companies and products which utilised it. The same thing applies to other manufacturers. So, specifically HTC: Where is the synching and upgrading for non-Windows users? and generally for all: Because of your use of free software, GNU/Linux users are an increasing part of your customer-base, start recognising and addressing that factor you may well lose our custom. Fanbois and girls alike constantly debate the future mobile operating landscape. Is there room enough for all of the current platforms or will there be just a few? From a consumer standpoint, there’s room for plenty of competitors — after all, choice is good, right? But more choices can play havoc with the finances of the companies that produce handsets. With a fixed budget of resources — in a tight economy, no less — handset makers need to judiciously manage their resources and devote them strategically. Acer is reportedly doing just that, says Digitimes, and they’re adding to the growing trend of phone makers who are joining the Android army. Push N900 invites hackers, mods, creatives, and coders to push the Linux powered N900 to its limits and if you haven’t already begun creating your masterpiece you should probably get cracking, as the competition, in which you can get your hands on a Nokia N900 and funding to realise your designs, ends on the 11th October. Free software is so easy…you don’t even need a keyboard! Fortunately, the unit had a build of Ubuntu installed on its internal flash, configured to log in automatically to a graphical desktop. Using a dust-covered USB mouse I found in the bottom of the parts box, I copied and pasted letters from the gnome-terminal help files to install openssh-server, so that I could login over the network and finish setting it up. Nearly there – John Mc Creesh says it is almost time to go to the OpenOffice.org conference. Look at the Conference Programme and if you can make it don’t forget to register online, Orvieto waits for you! Roy Schestowitz of Boycott Novell will be on the FLOSS weekly podcast on 14/10/09 at 13:30. I for one am looking forward to the broadcast as Roy always manages to create interesting debate on a diverse range of subjects within the IT world. In the meantime (if you haven’t already been there, check out his site site: or come on over to #boycottnovell on freenode.net for a chat! Control is what really matters, on-premise and online. Who, how such control is performed, what it may affects. 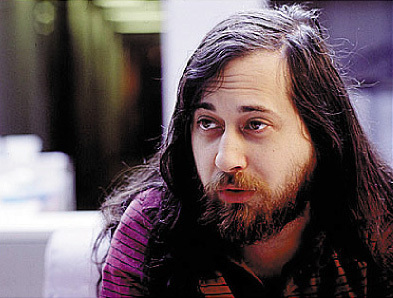 You may prefer the ethical angle (like Stallman did) or the economic angle (like I do) but the end result is the same, exactly like free software and open source are the same. The New York Times has announced plans to release the next version of its Document Viewer under an open source license. The new viewer will be ready for launch in a few weeks and offers users interactive tools for annotating pages to share with others. On the other, the Times expects that other organizations that use the tool will build new functionality on top the Times’ code and then, in true open source spirit, share their enhancements back so that all organizations using of the Document Viewer will benefit. The Local Advertising Mesh Network, an advertising platform for local ad management, is Rajesh Kotagiri’s response to the challenge Cisco put forth in the Developer Contest guidelines — to use the “network as a platform” approach and develop an application using Cisco’s Linux-based AXP (Application Extension Platform), a service module on its ISR (Integrated Services Routers). GoalBit, which is available for Windows and Linux, currently features just a handful of Uruguay’s TV networks streaming at fairly low bitrates. But the service looks promising nonetheless, and its extensive documentation could be intriguing to anyone interested in P2P streaming. The terms “open source” and “free software” are often confused by companies who want to gain the benefits of a wider developer community. More often than not this has arisen from a misunderstanding of the full implications of “open source” and “free software”, and how free software licensing works to the advantage of developers and the companies that are formed to market the software. UoM won the highest number of awards at each of the annual competitions held in 2007, 2008 and 2009. The awards measure students’ talent, creativity, ability and performance in the Free and Open Source Software (FOSS) development. Mozilla Europe was kind enough to invite me to give a talk at its EU MozCamp 2009 on Saturday. It was an inspiring experience – not my talk, of course, but being among 180 of the top free software coders in Europe, along with other key people from the Mozilla project. Built on top of a 64-bit Ubuntu distribution, the JCVI Cloud Bio-Linux gives scientists the ability to launch EC2 instances chock-full of the latest bioinformatics packages including BLAST (Basic Local Alignment Search Tool), glimmer (Microbial Gene-Finding System), hmmer (Biosequence Analysis Using Profile Hidden Markov Models), phylip (Phylogeny Inference Package), rasmol (Molecular Visualization) genespring (statistical analysis, data mining, and visualization tools), clustalw (general purpose multiple sequence alignment), the Celera Assembler (de novo whole-genome shotgun DNA sequence assembler), and the NIH EMBOSS utilities. The Celera Assembler can be used to assemble entire bacterial genome sequences on Amazon EC2 today! All in all? An excellent show, one well worth my time. My only parting suggestion – besides not doing it on a Friday – would be to arrange power strips for the show. It’s kind of tough to write it up on a dying battery. Otherwise, congrats to the organizers and the speakers: very well done. Yesterday, at the Right To Know Week panel discussion – Conference for Parliamentarians: Transparency in the Digital Era – organized by the Office of the Information Commissioner I shared three laws for Open Government Data that I’d devised on the flight from Vancouver. Governments should make their public data available on-line to all, Jean-Louis Missika, deputy mayor of Paris said on Thursday. Such data could be used to create real time services and geo-location services. I want to celebrate the progress of OA journals and the launch of the OASPA by setting out what I see as the 10 greatest challenges facing OA journals. I want to do this without pretending to set the association agenda and without presupposing that association members don’t already know these challenges very well. I’m not a member of the association or even a publisher. I merely want to see OA journals succeed. Amazon deleted the Kindle file of Orwell books to remove the content, Manara said. The issue of sellers’ control over devices arose in a French case in which a mobile phone operator’s customer discovered he could not use the phone with another telecommunications provider because of lack of interoperability. The user sued under an 1804 civil law provision stating that “Ownership is the right to enjoy and dispose of things in the most absolute manner.” A Paris court ruled that the operator could not breach this fundamental right, and that goods must be able to be used in the way their owners expect. Will the European Parliament take its last chance to save citizens’ rights? “In our societies, access to the Internet is so instrumental to people’s ability to communicate with each other that restricting or limiting this access cannot be decided by a company or even an executive agency. Only a fair trial by the judicial authority guarantees that citizens’ rights will be respected. It is now Catherine Trautmann’s duty to ensure that amendment 138 will protect citizens against the arbitrary blocking or limiting of their Internet access.” concludes Jérémie Zimmermann, spokesperson for the citizen advocacy group La Quadrature du Net. The House Energy & Commerce Committee is scheduled to mark up tomorrow a bill dubbed the Informed P2P User Act (H.R. 1319) that aims to prevent accidental file-sharing by mandating the display of clear warnings during the installation and usage of P2P software. Critics, however, fear that the final bill might end up going much further, regulating FTP clients, web browsers and even complete operating systems. A music industry consultant has changed her Linkedin profile when it was revealed that the music lessons she’s giving in schools aren’t quite as they seem. Ruth Katz, who worked in anti-piracy enforcement for EMI and still works for the company as a consultant, is lecturing kids as young as five on anti-piracy issues.